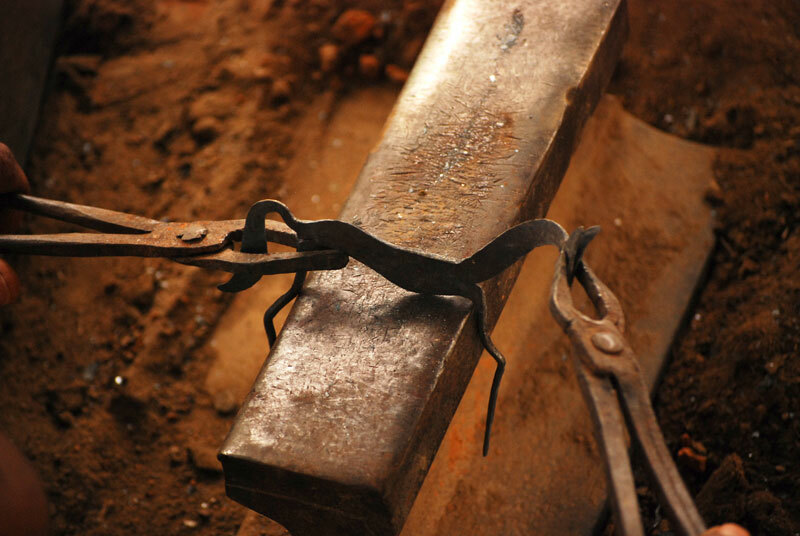 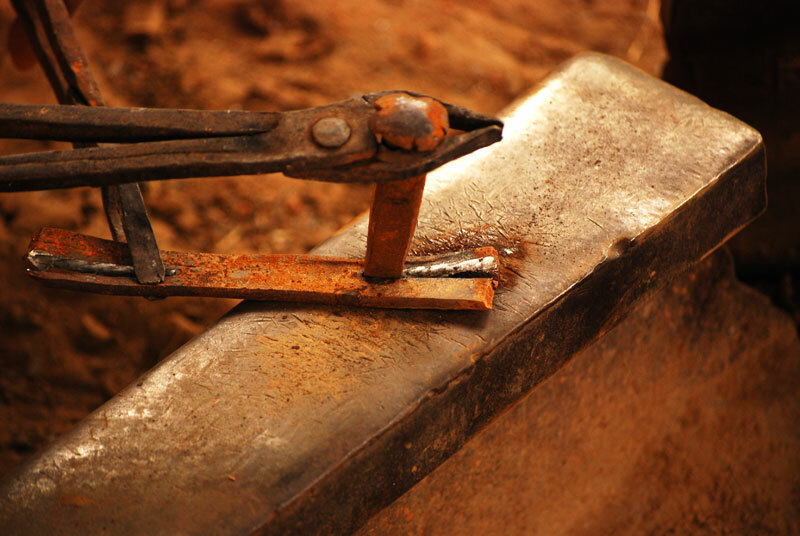 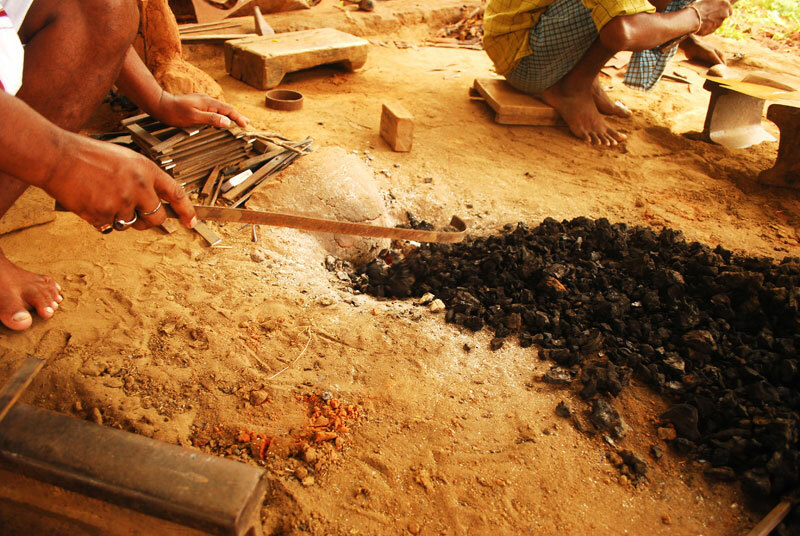 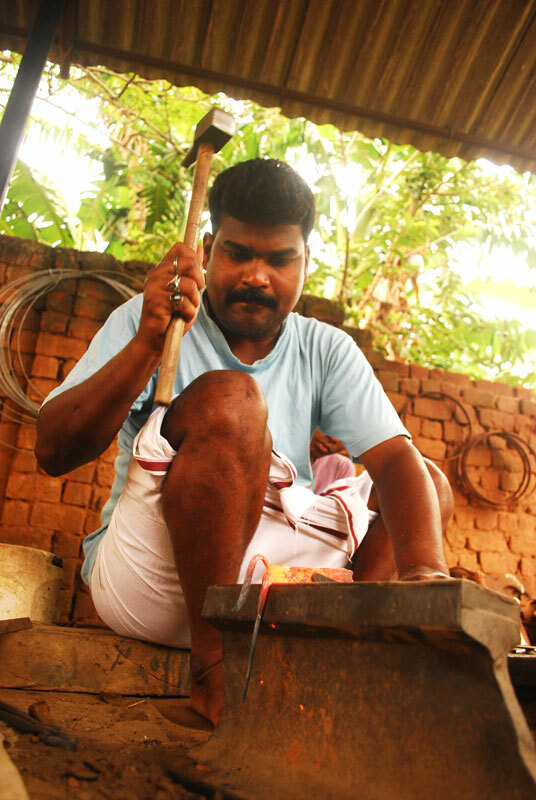 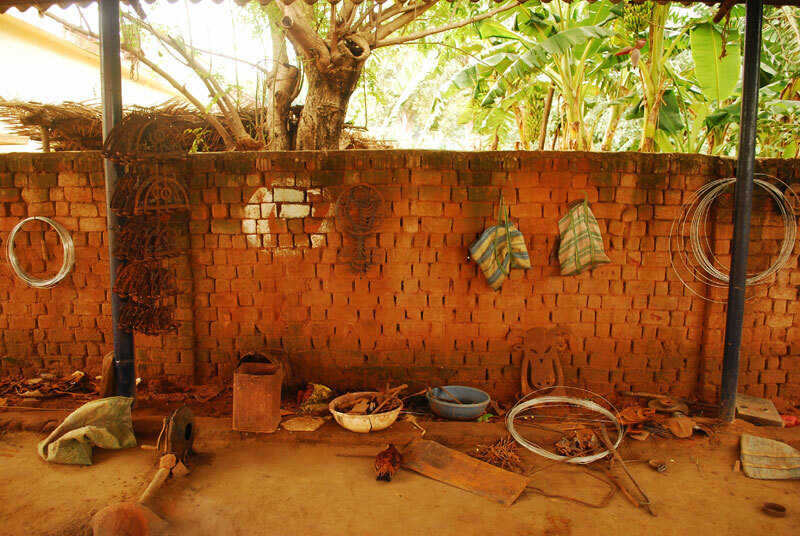 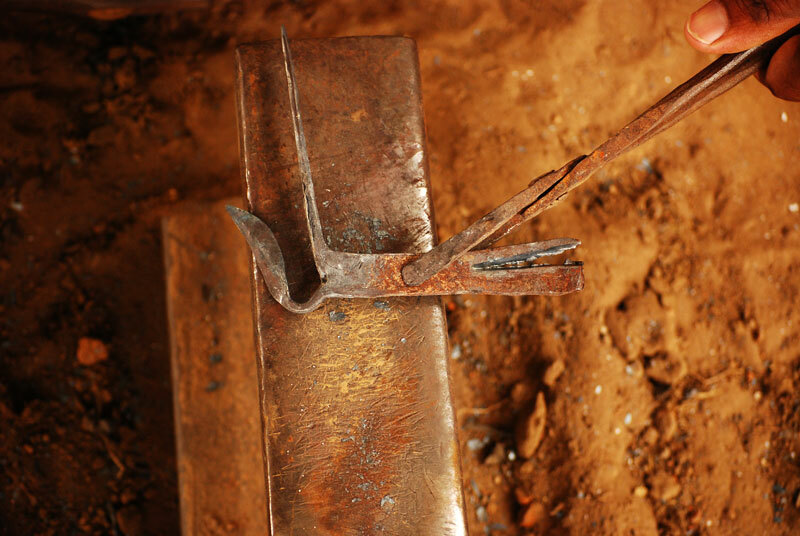 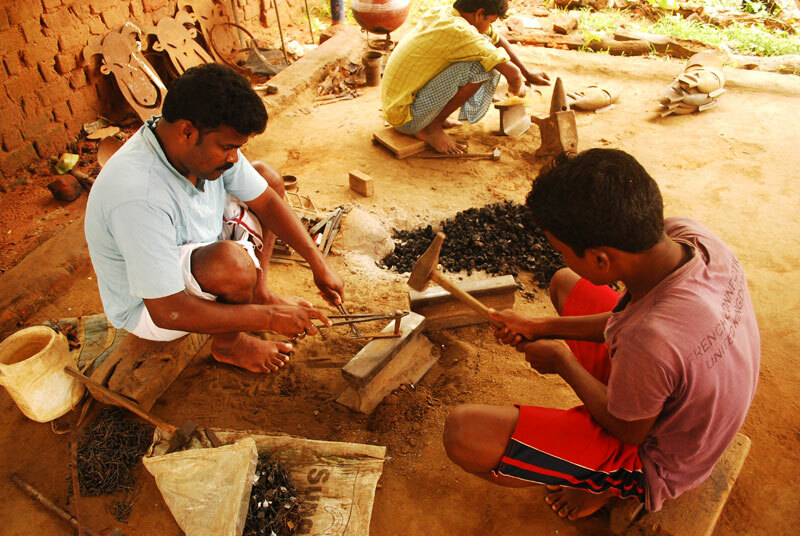 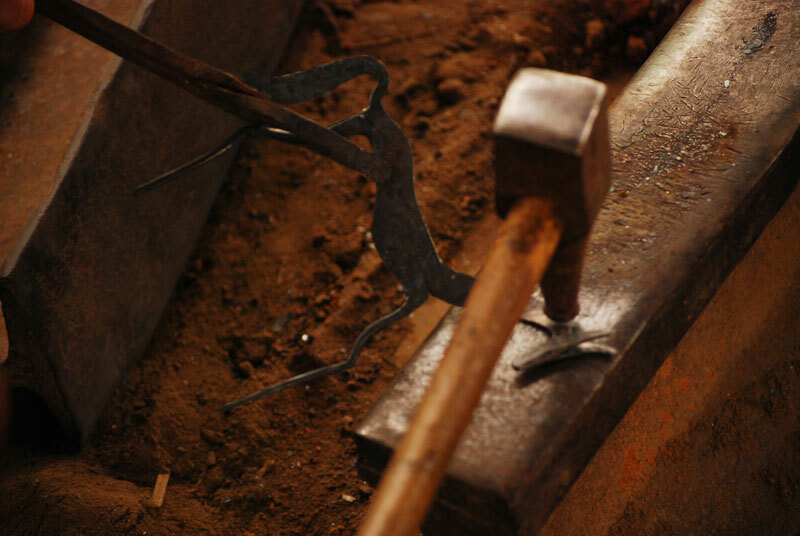 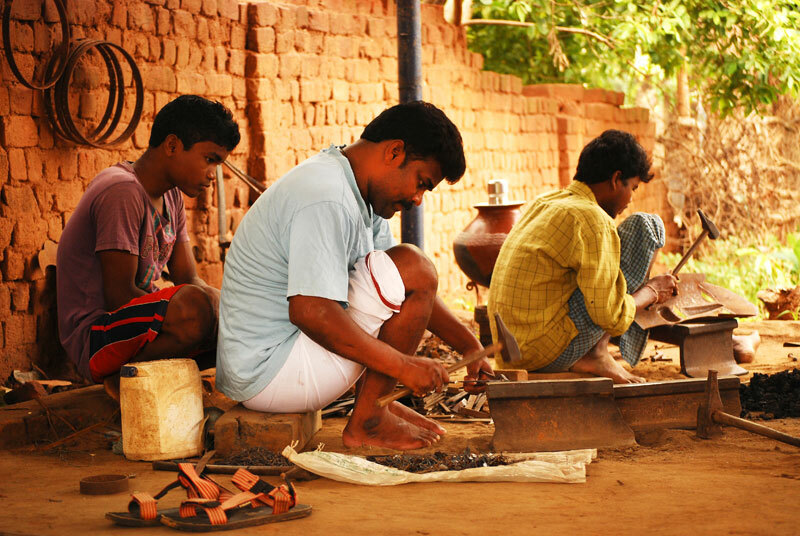 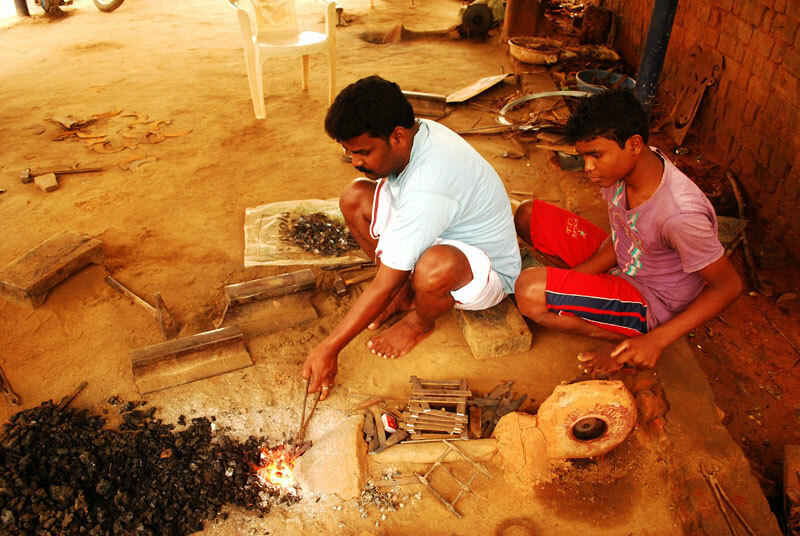 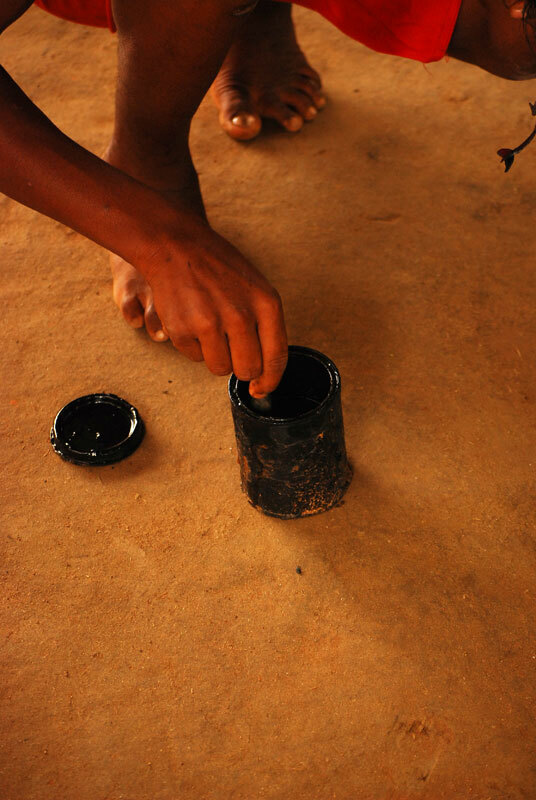 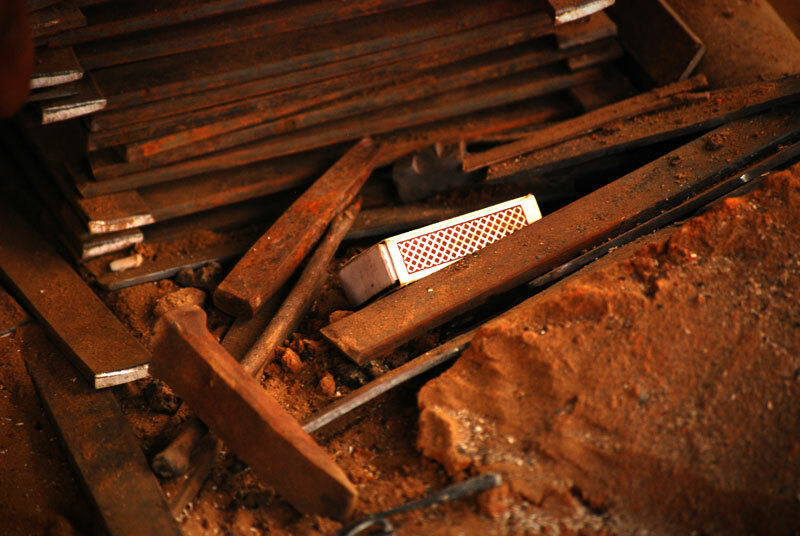 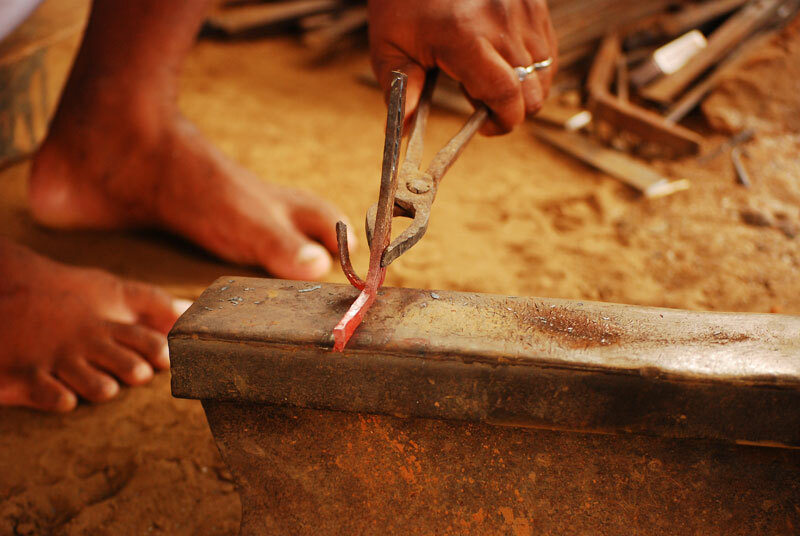 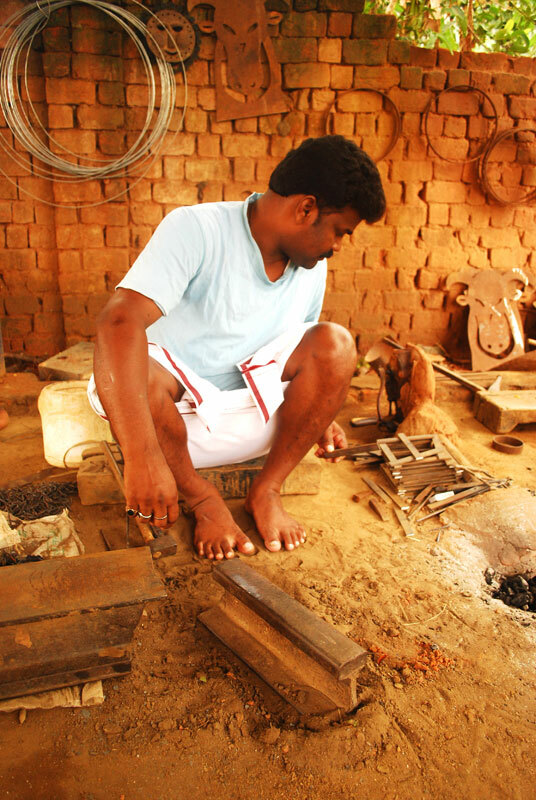 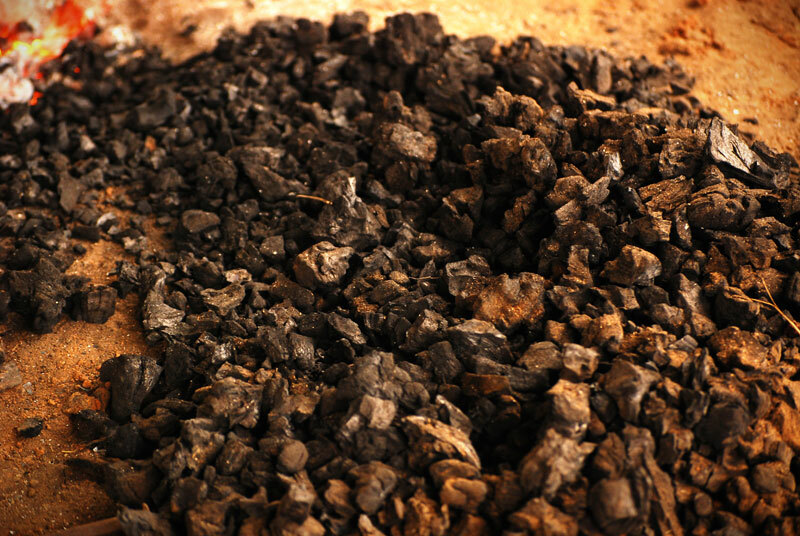 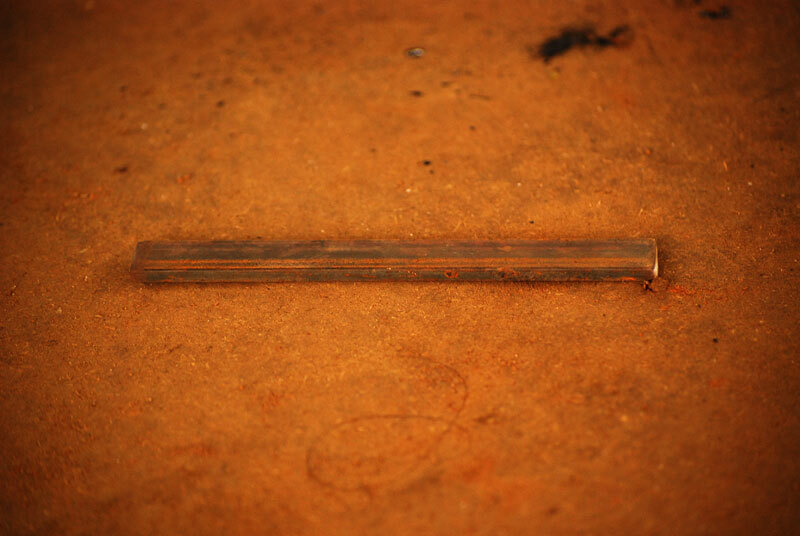 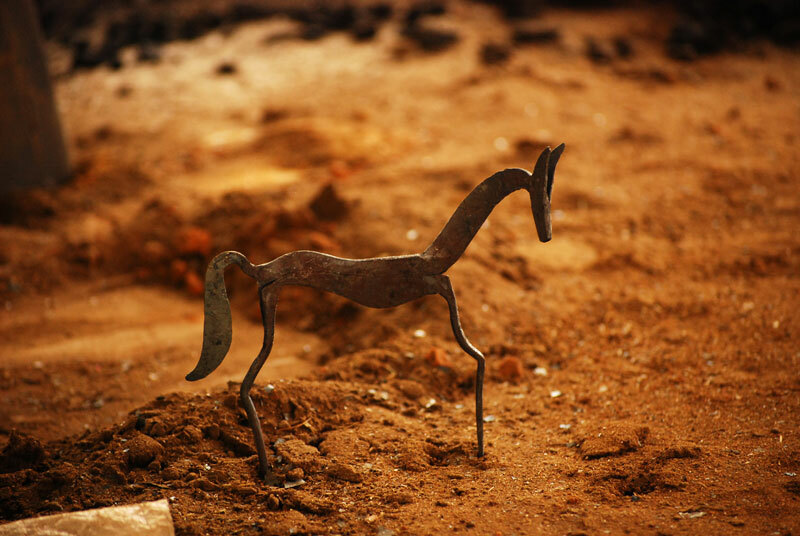 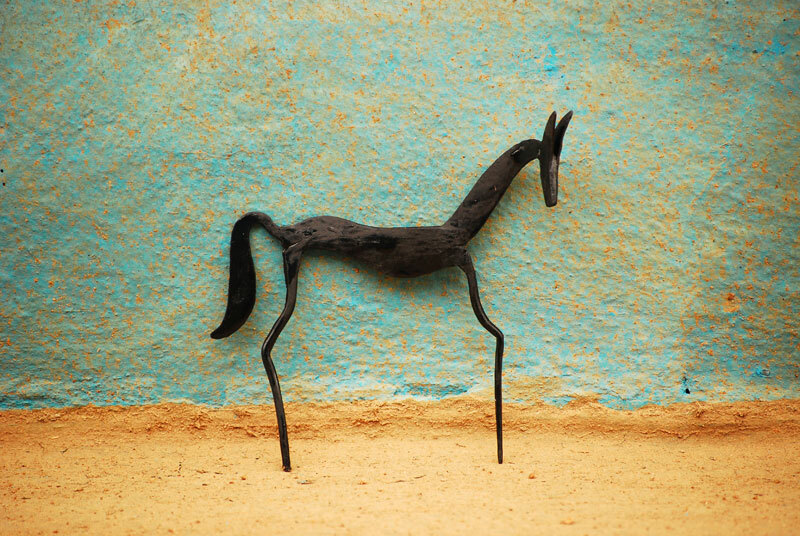 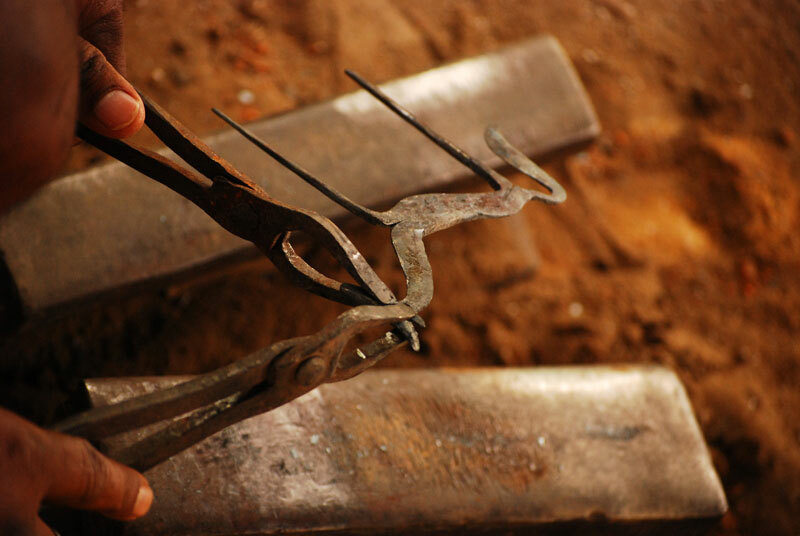 The raw material used for the craft is predominantly recycled iron scrap, taken from household or market. 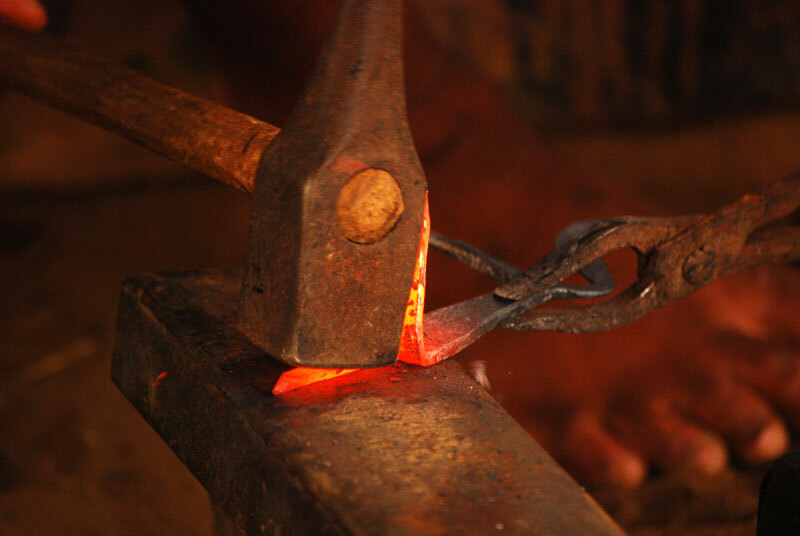 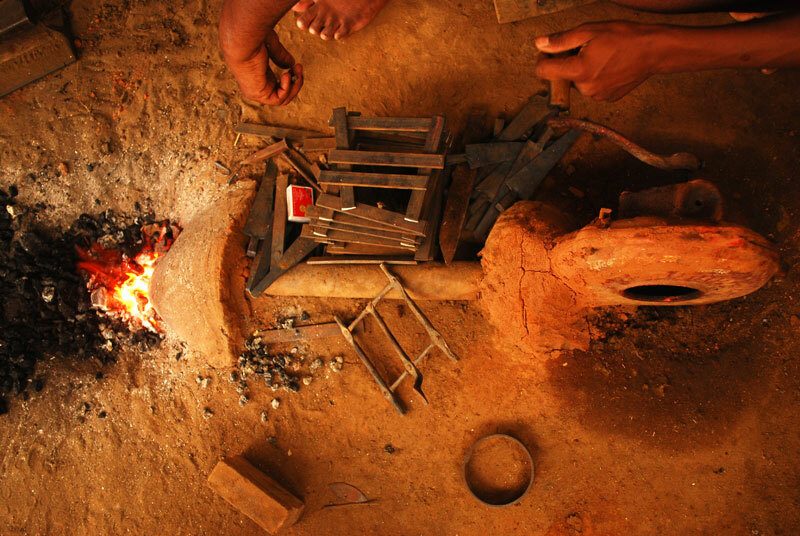 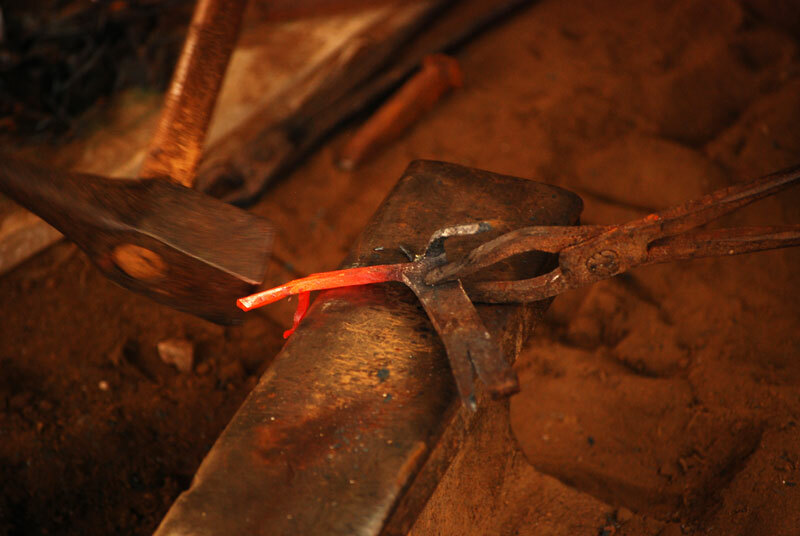 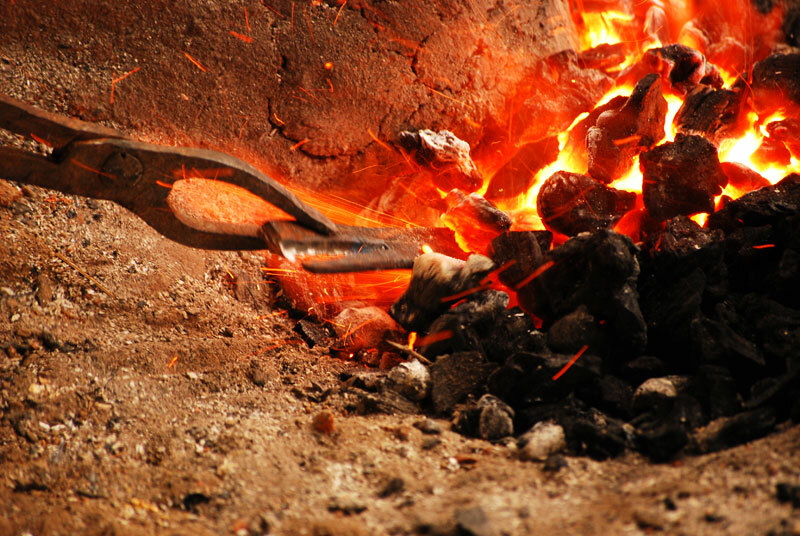 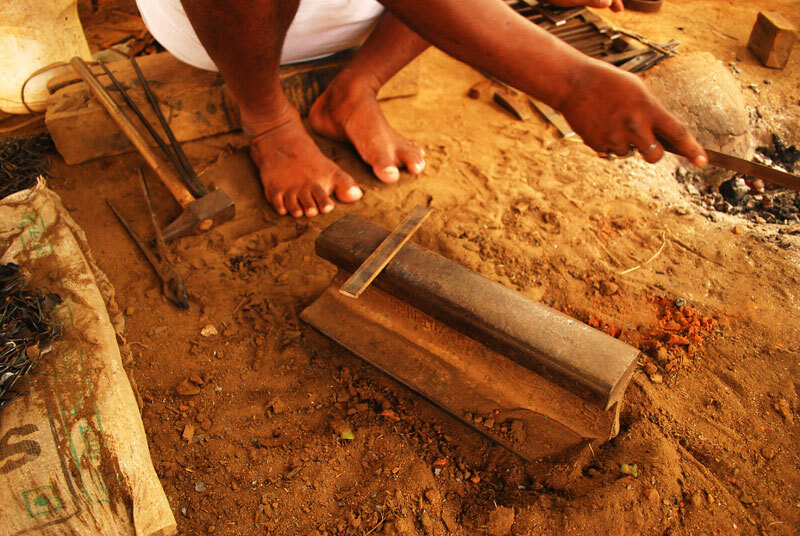 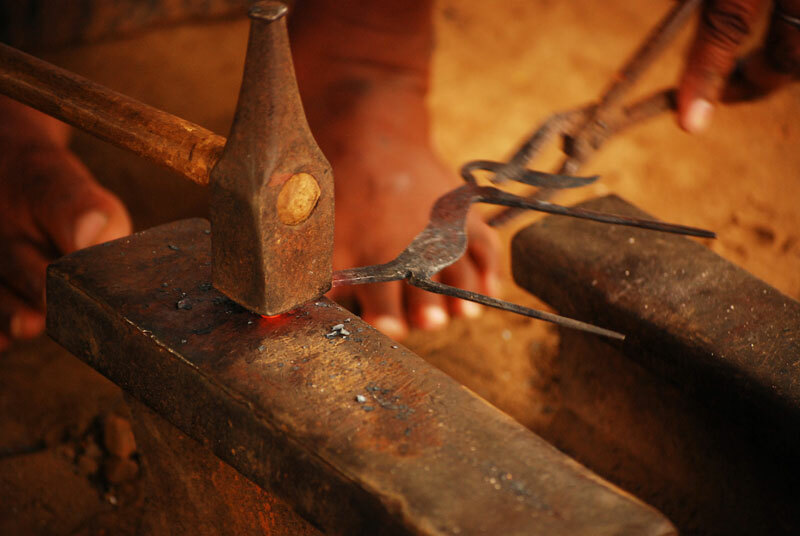 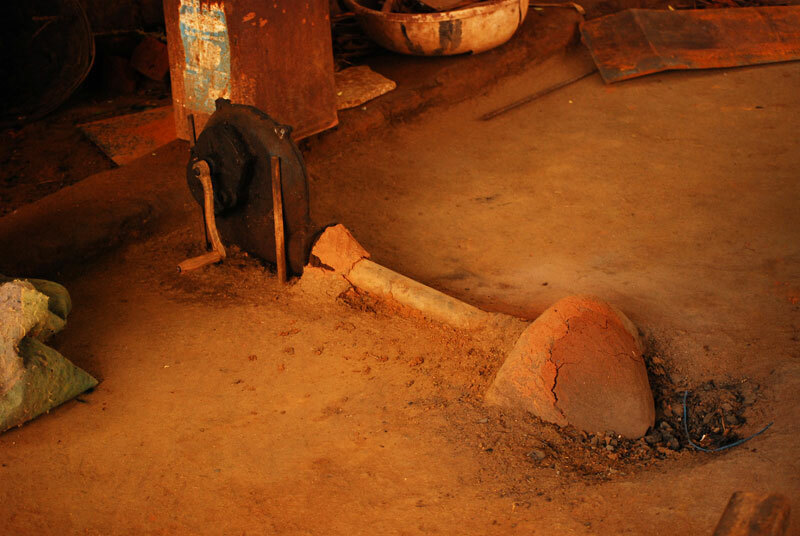 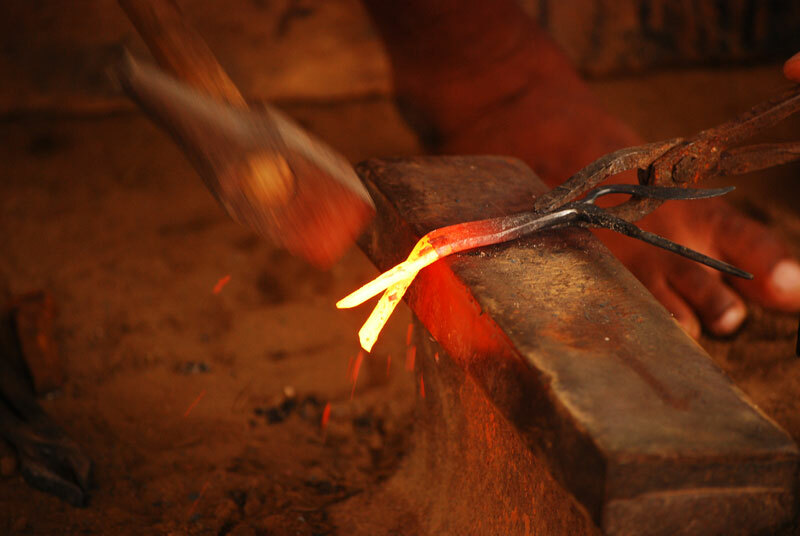 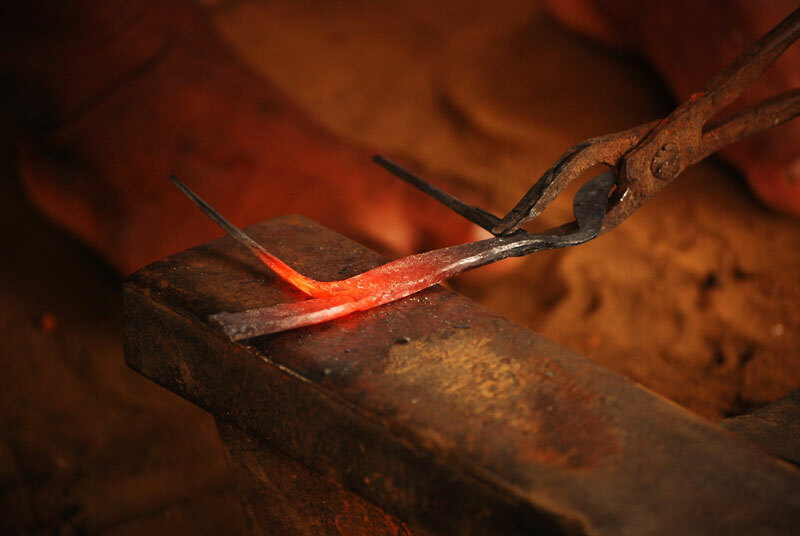 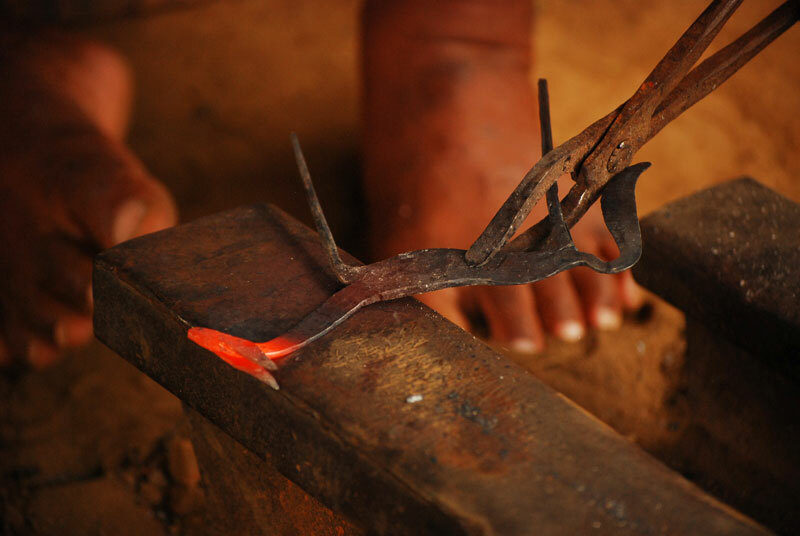 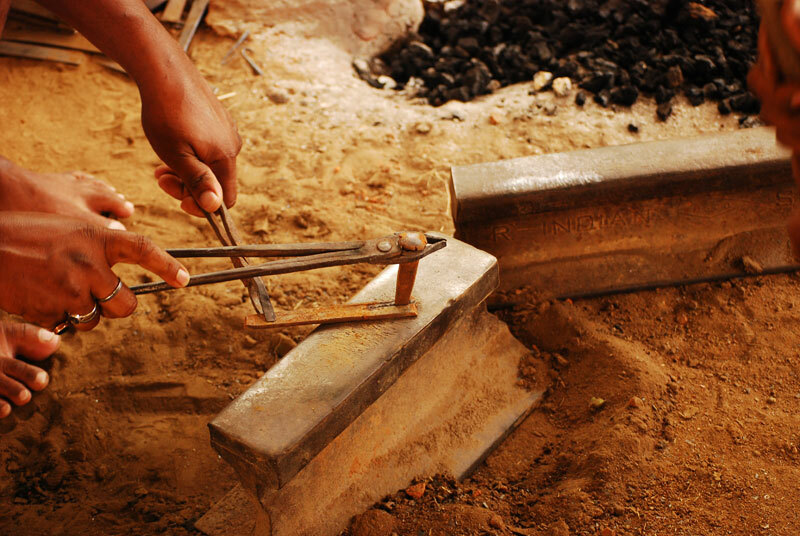 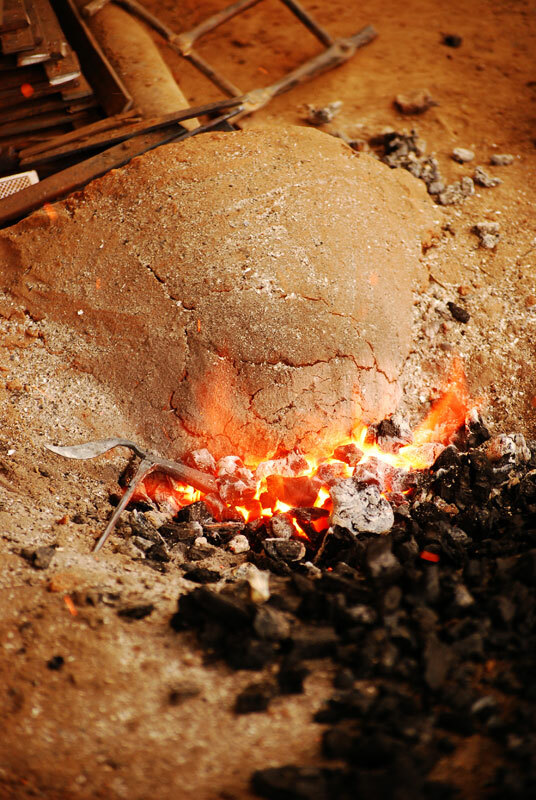 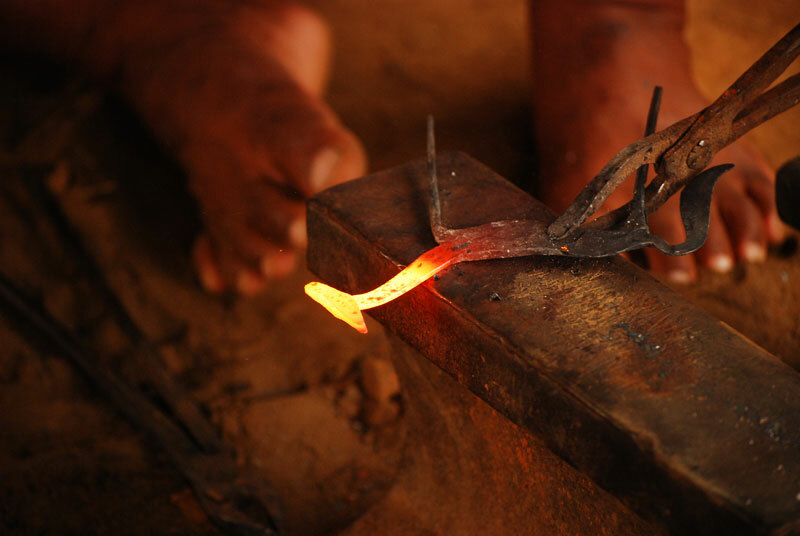 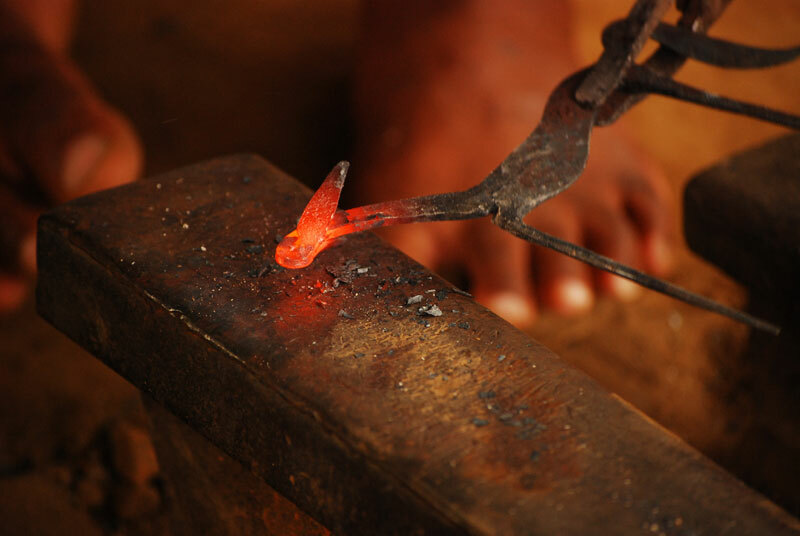 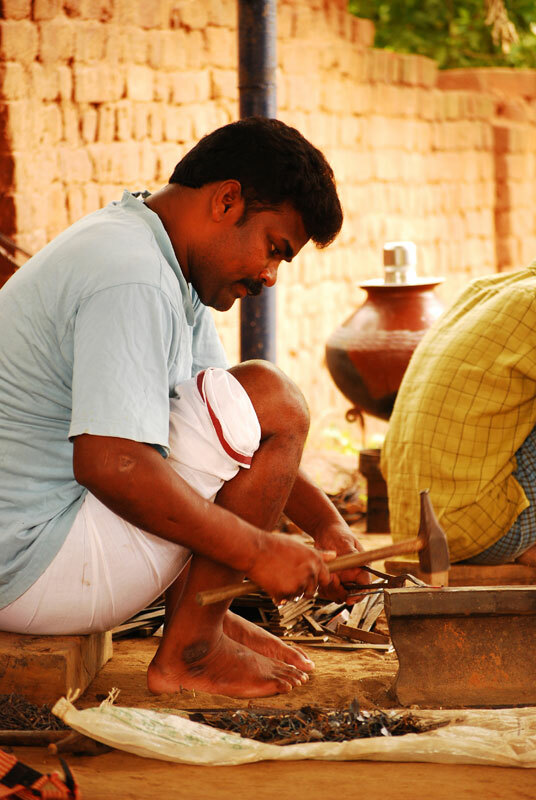 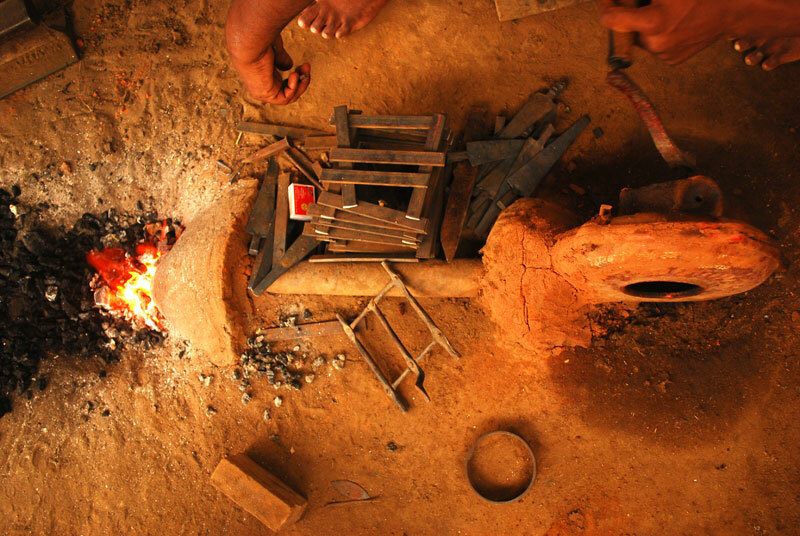 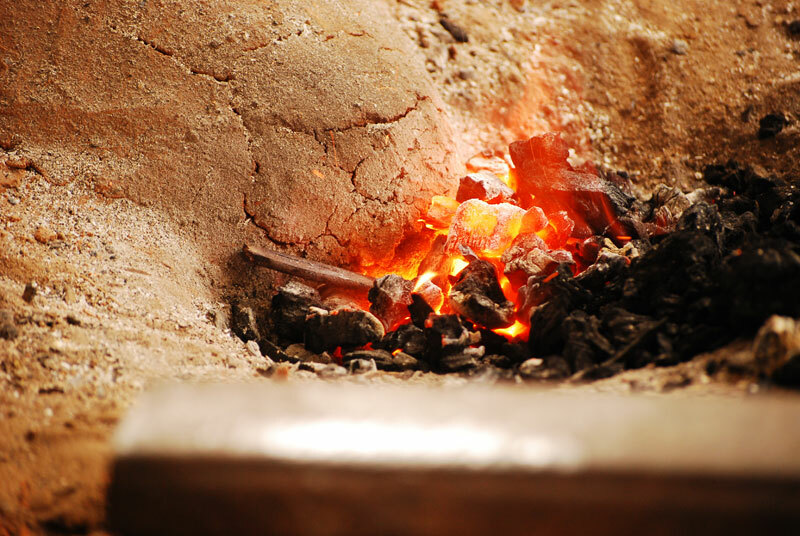 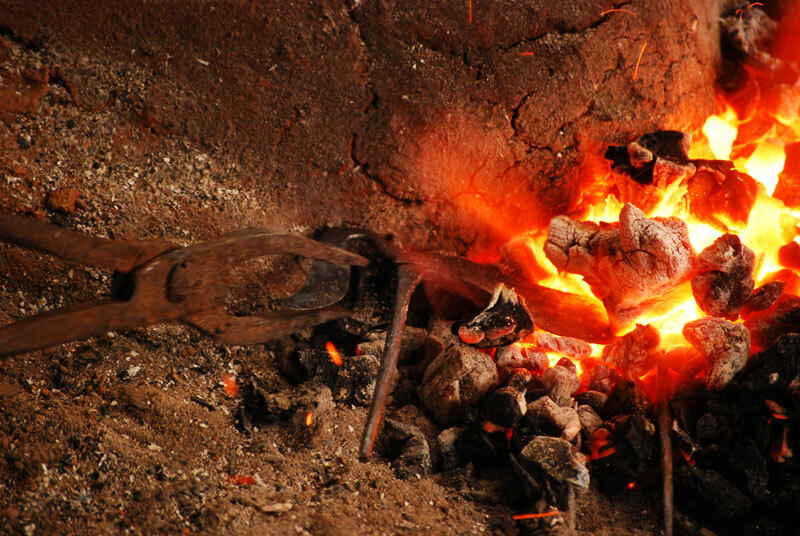 The main tools used are Dhukna Sar (furnace), Muthli (hammer), Chimtas (forceps), Sandasis (tongs) and Chenni (chisels). 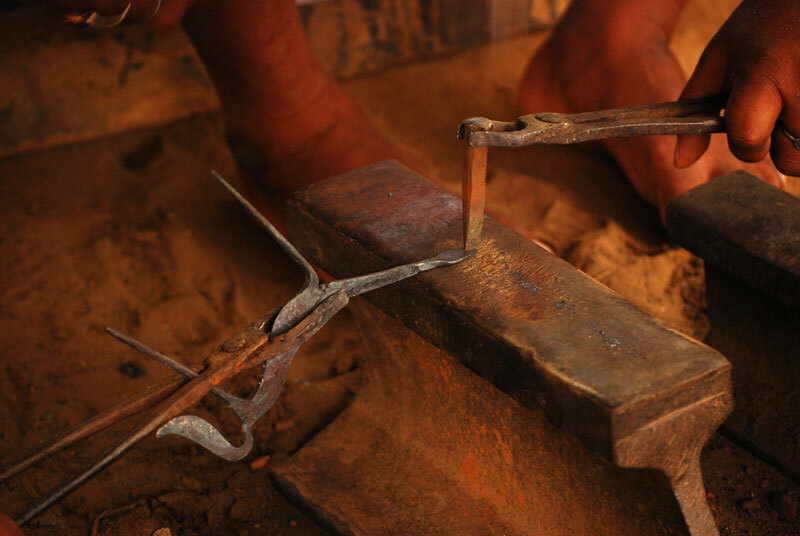 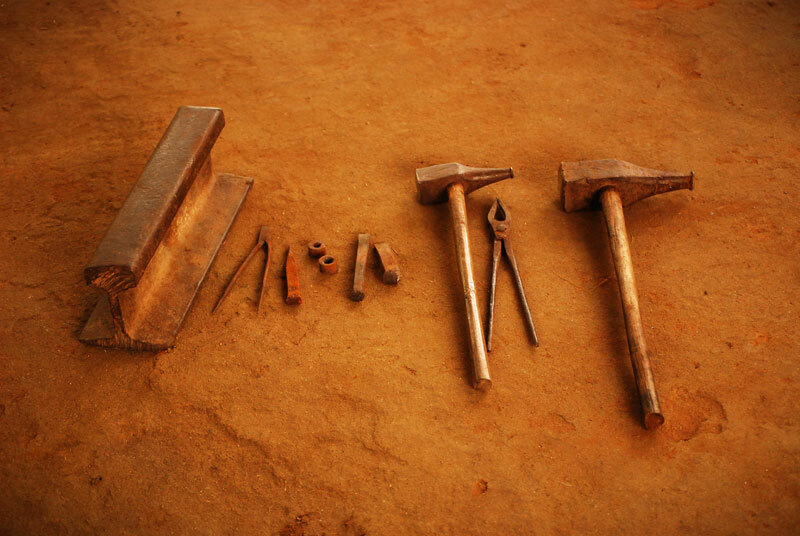 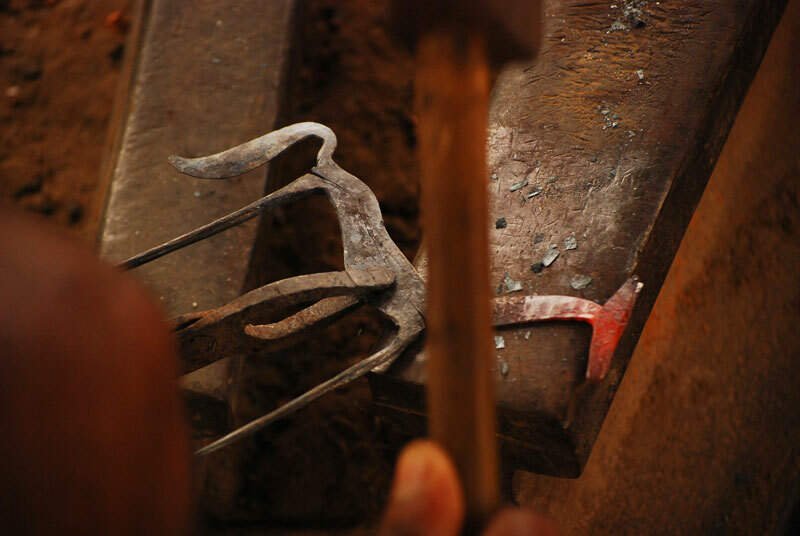 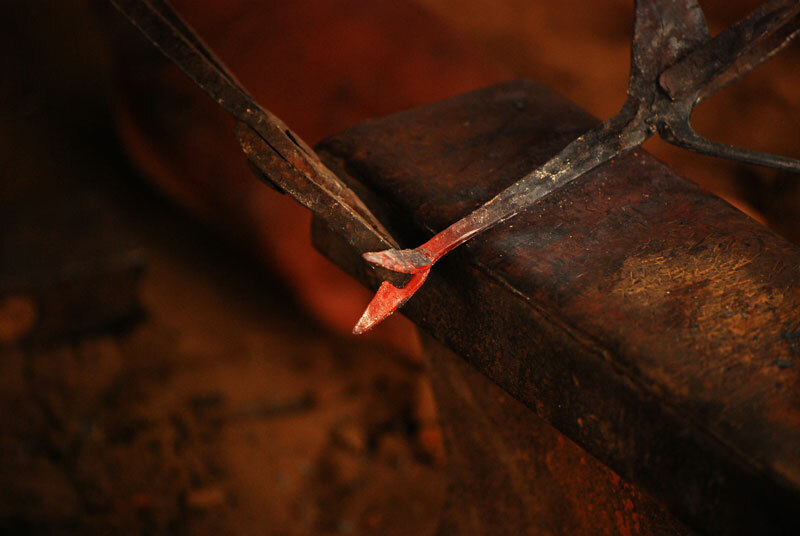 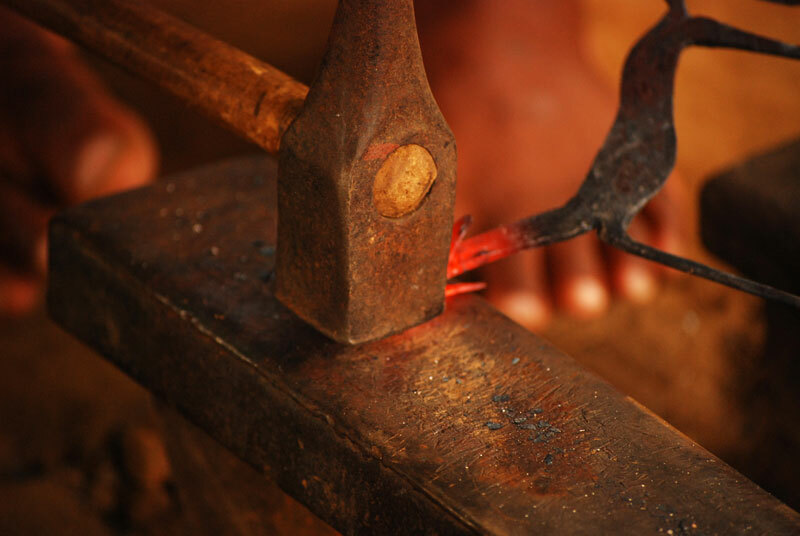 These tools are made locally by the lohars themselves. 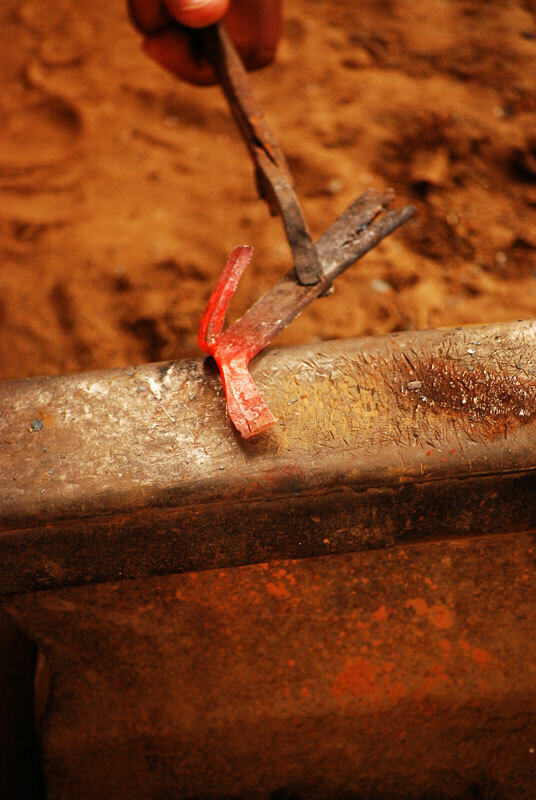 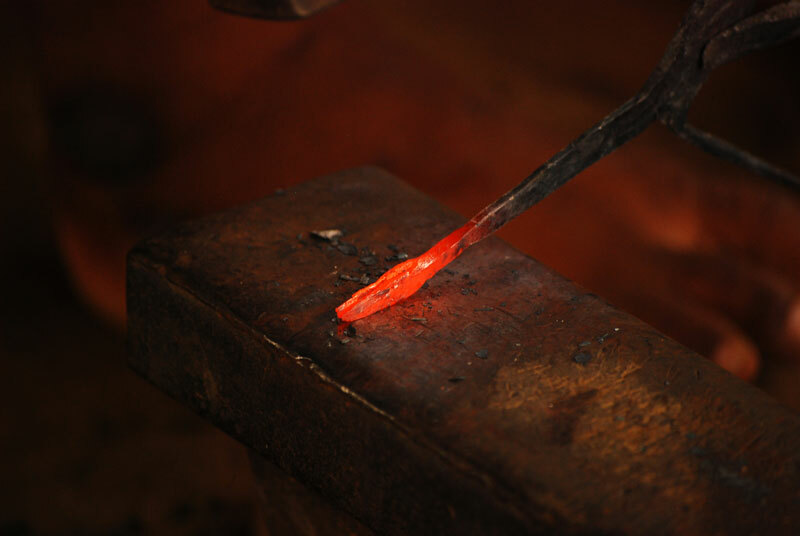 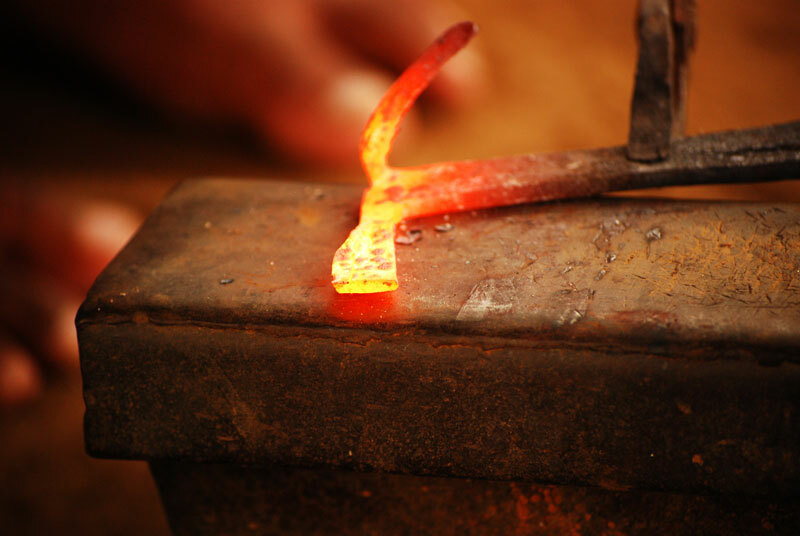 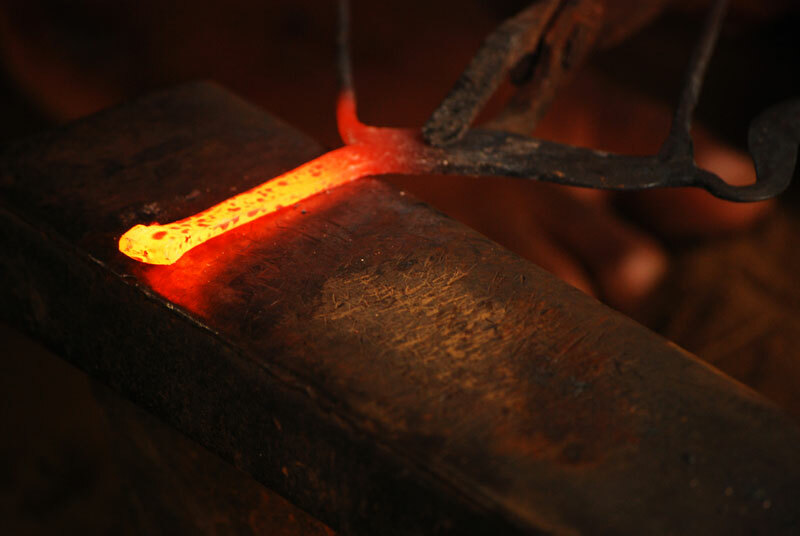 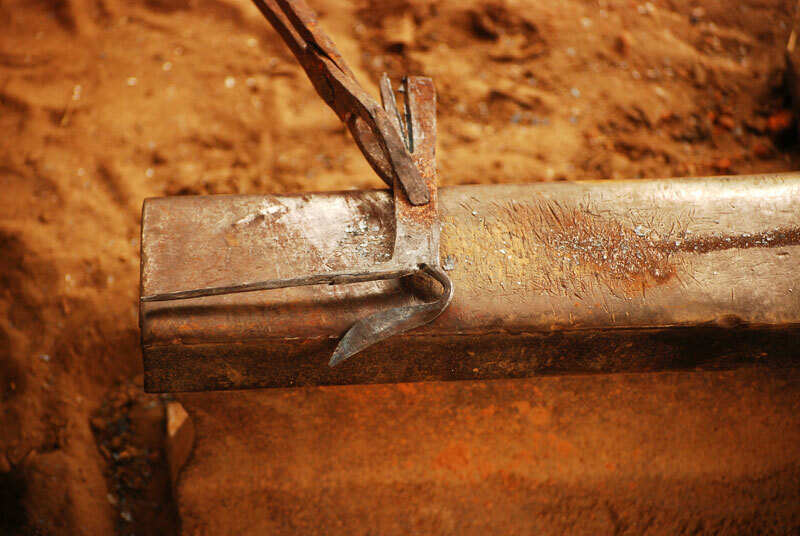 The process starts with scrap iron being beaten repeatedly when hot. 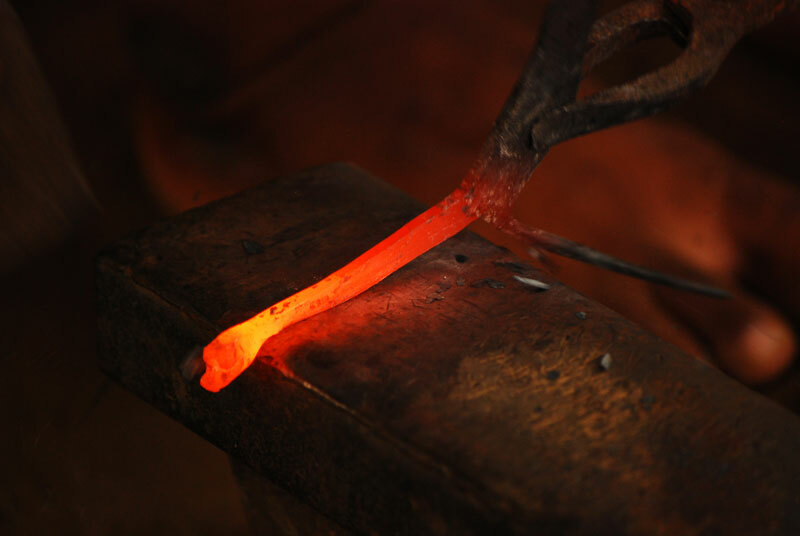 It requires no casting and molding. 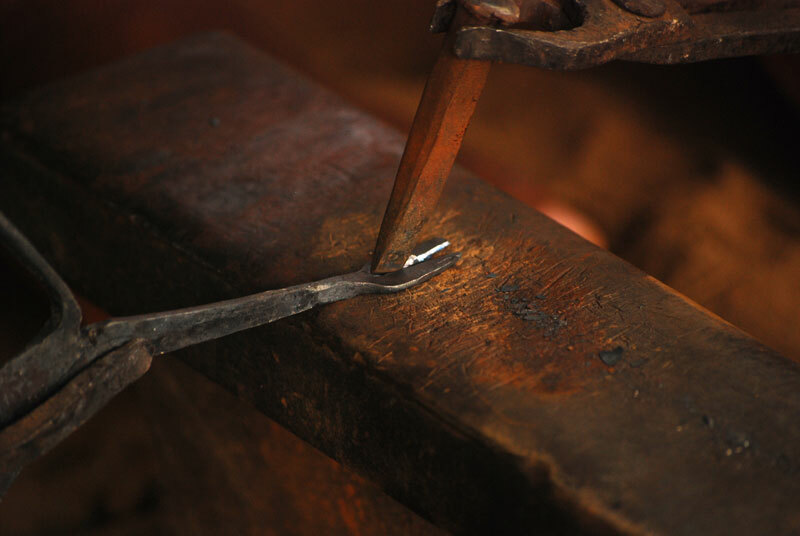 Desired shape is given carefully by beating it at necessary spots. 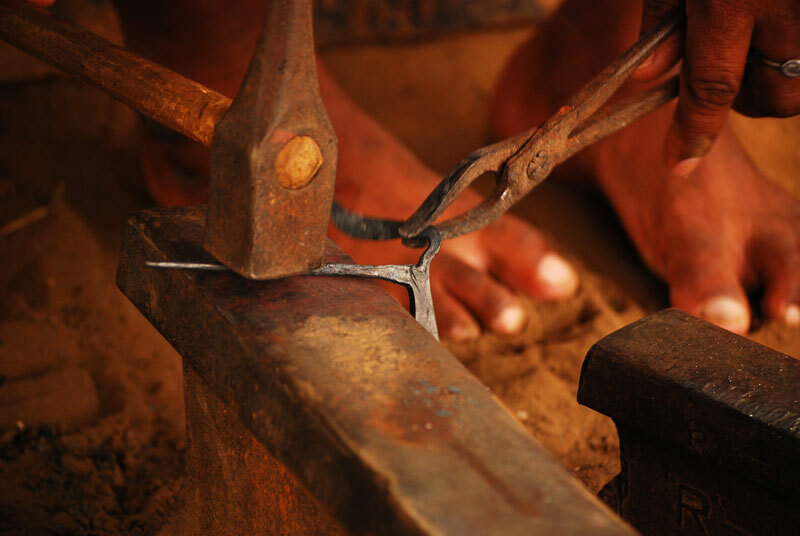 Then unnecessary portions are cut away and filed to remove sharp objects. 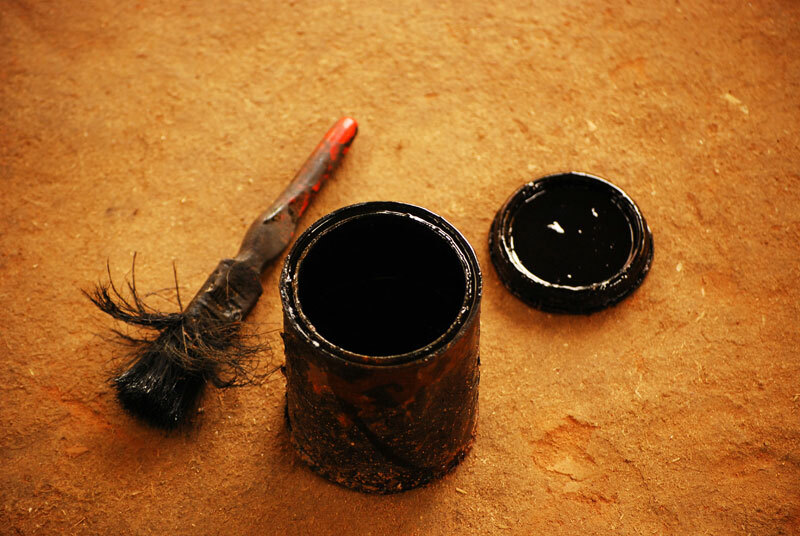 On completion, varnish coat is applied to enhance the luster. 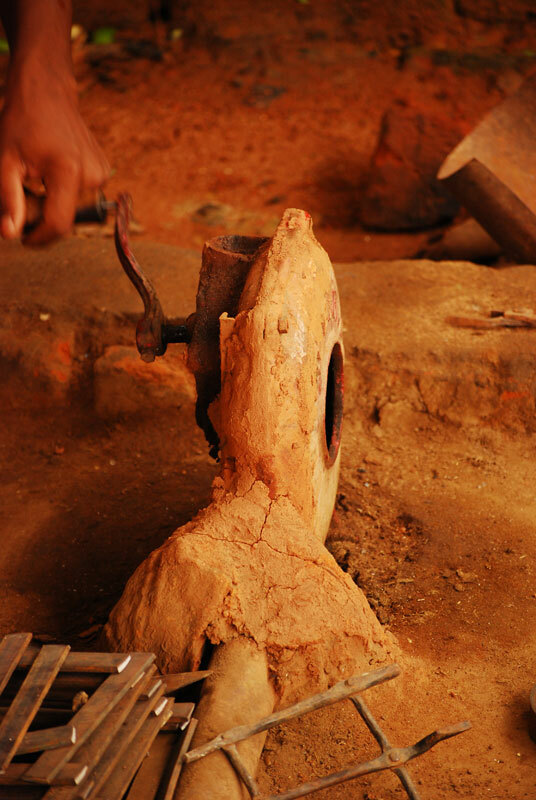 Both hollow and solid figures are made. 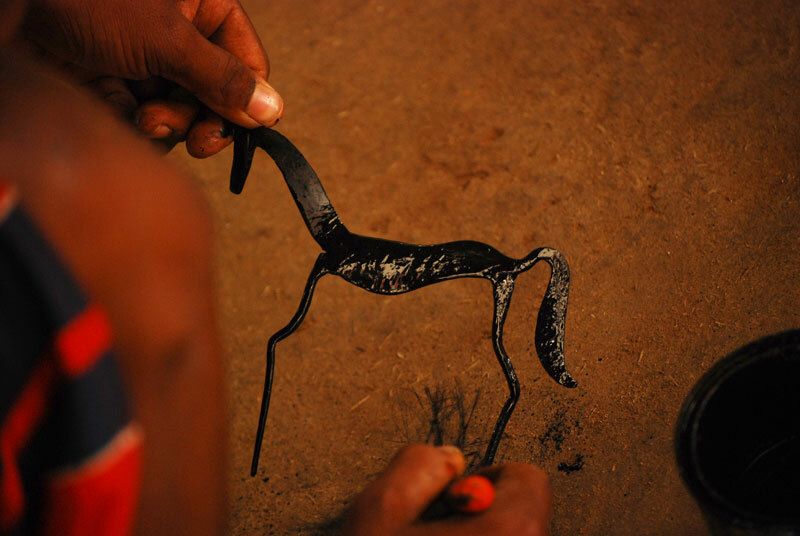 For making a hollow figure, iron sheets are folded, cut and filed as per the need of the form. 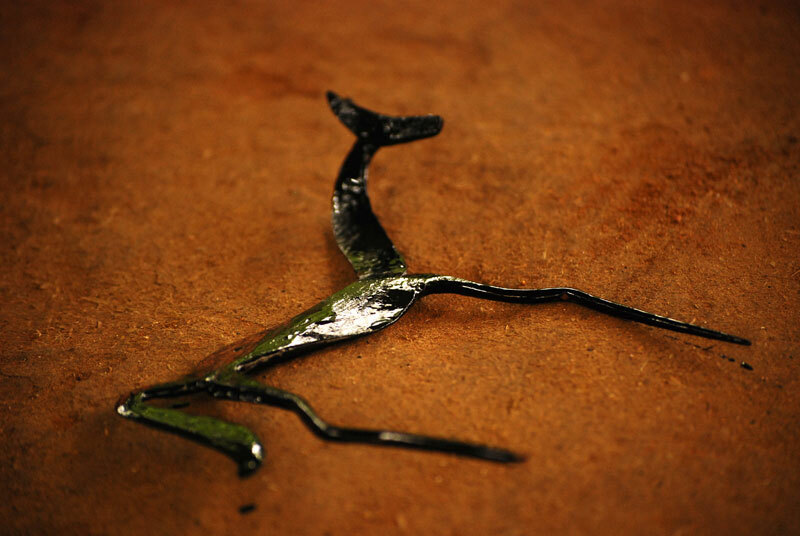 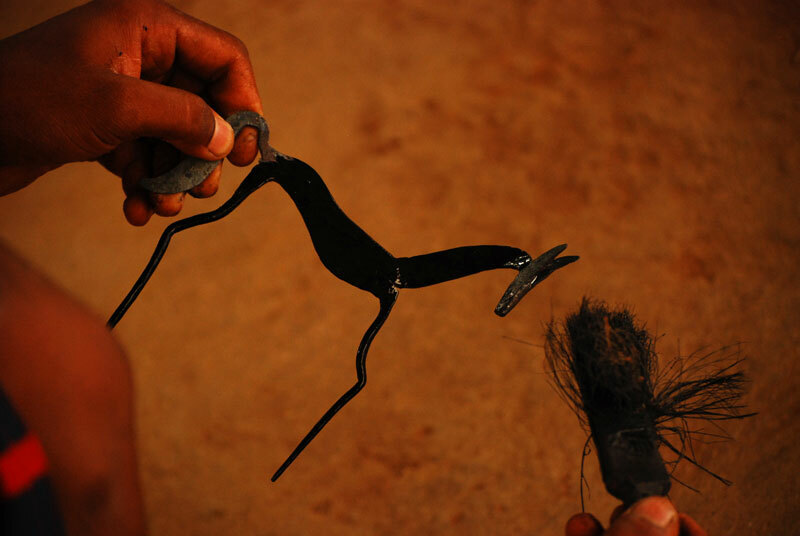 In a solid figure the main body parts are made first and then the detailing is done with the help of small chisels.